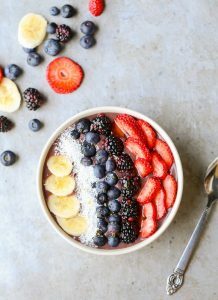 Introducing Acai Bowls & A New Smoothie! 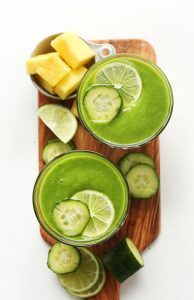 We’re also now serving a brand new smoothie, called “The Clean Machine.” We make it by emulsifying pineapple, cucumber, lemon, banana, kale, ginger, and super greens mix. The super greens mix contains spirulina, ginko biloba, wheat grass, chlorella, bee pollen, and probiotics! The result is a cleansing, detoxifying, refreshing, and absolutely delicious smoothie! It’s a great way to supercharge your day! So come in today and try out one of our great new menu items!